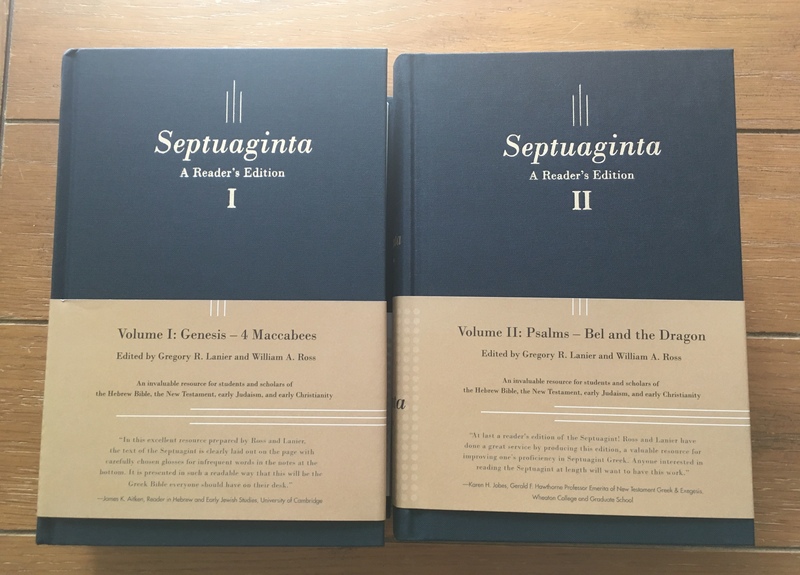 The last two years have seen the appearance of two significant resources for Septuagint reading: the recently released reader’s Septuagint and Karen Jobes’s Discovering the Septuagint: A Guided Reader (Kregel, 2016). I reviewed Jobes’s volume here when it came out. 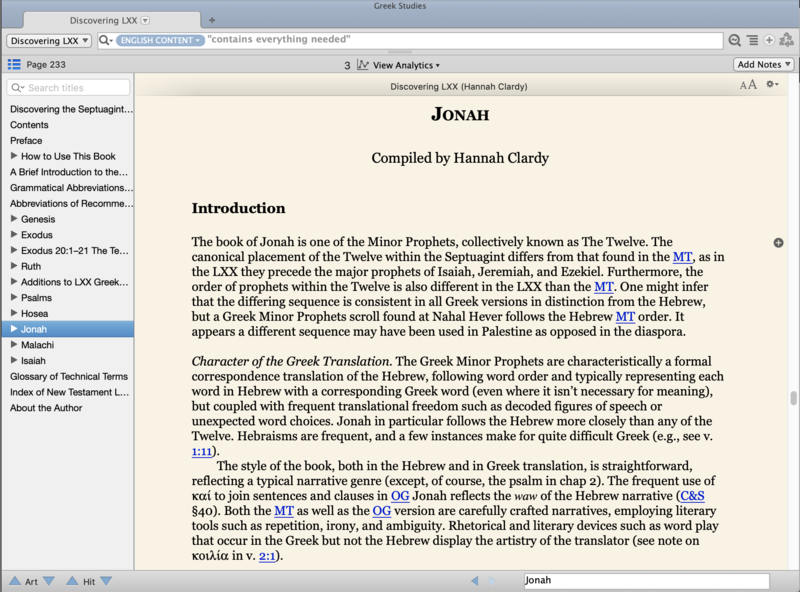 Today Accordance Bible Software has released its edition. A couple of quick notes: (1) Accordance set me up with a review copy so I could write about it and (2) much of the below draws on or quotes my review of the print edition, albeit with an eye toward the use of the Guided Reader in Accordance specifically. 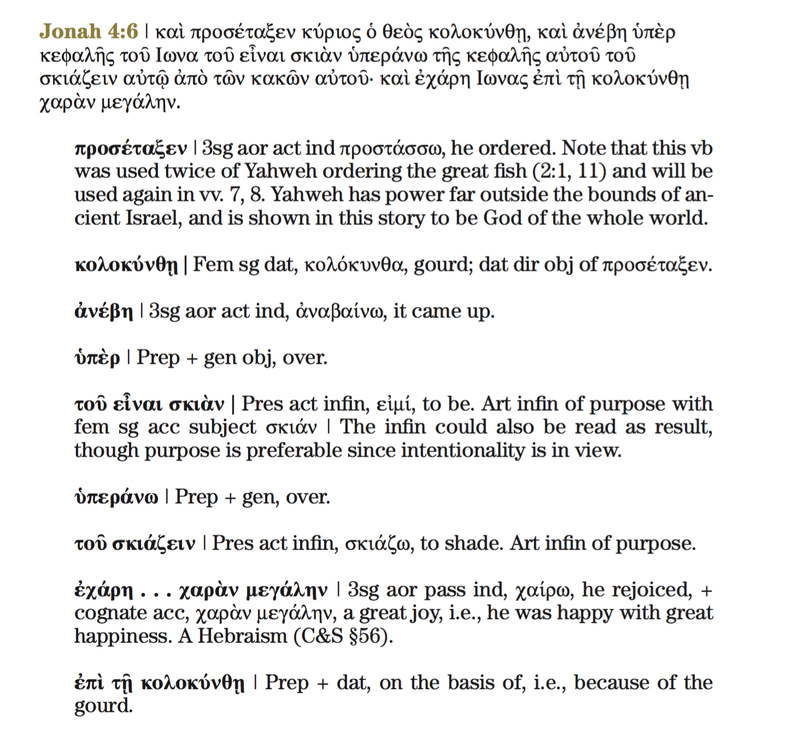 Short, one-sentence version: Accordance takes an already good (and long-awaited) resource and significantly enhances its usability for readers of the Septuagint. Below is a longer review of the resource, in Q & A format. What books of the LXX are covered? 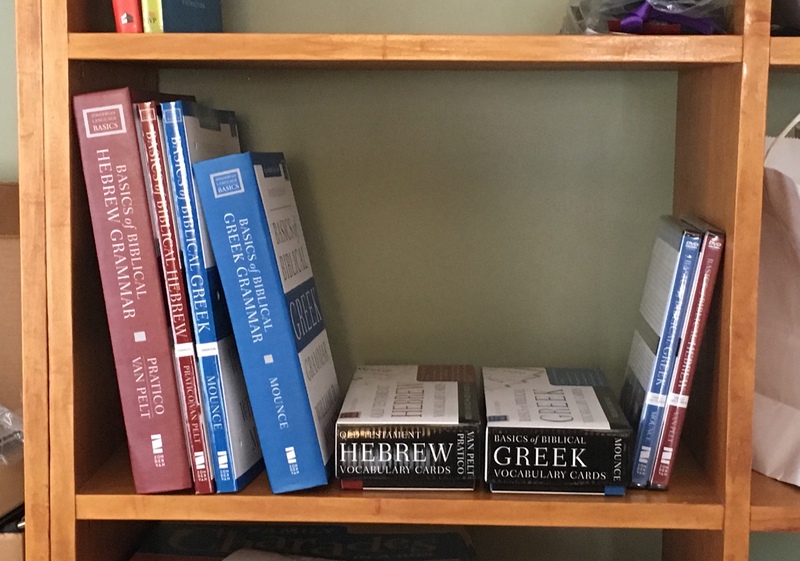 Jobes says it “contains everything needed for any reader with three semesters of koine Greek to succeed in expanding their horizons to the Septuagint” (8). This felt right as I worked through the resource. I found the book easy to understand (though I’ve had more than three semesters of Greek). 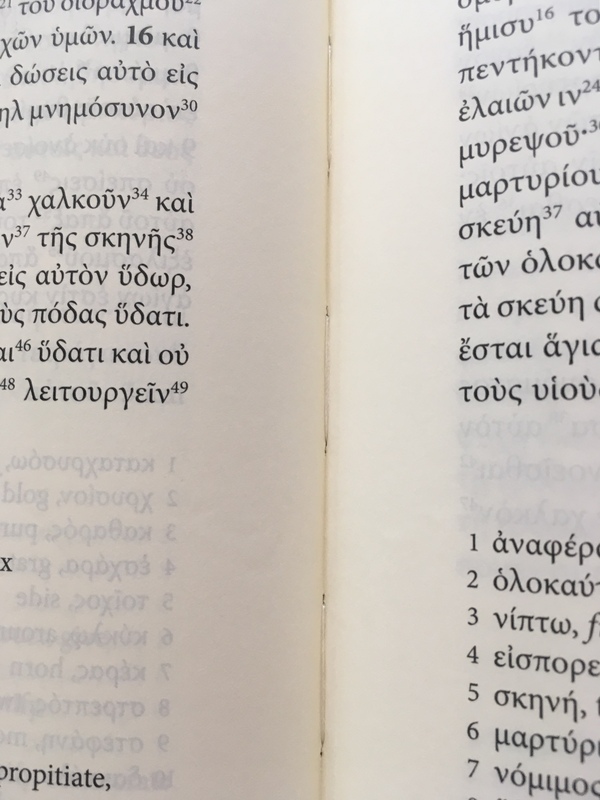 Next there is the passage itself, verse by verse, with the Greek text re-printed in full. 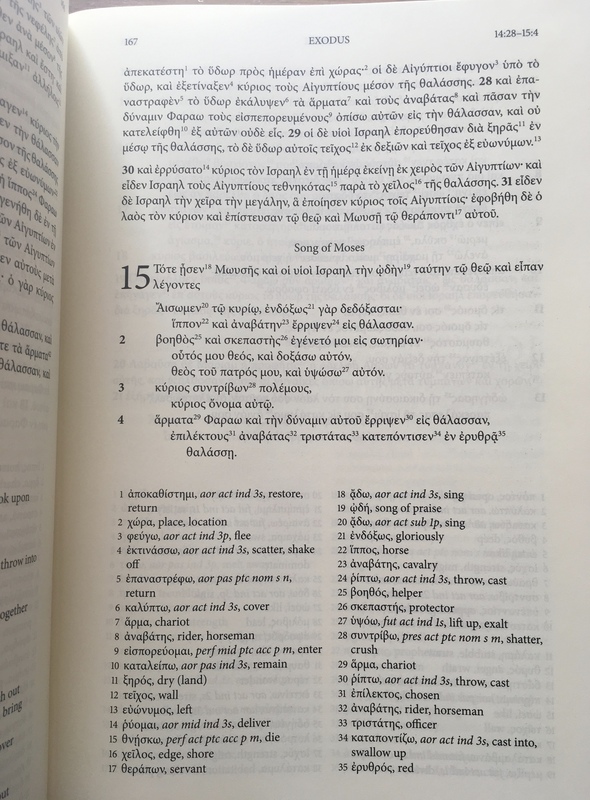 Under each verse are word-by-word and phrase-by-phrase comments on the vocabulary, usage, syntax, translation from Hebrew (the book is strong here), and so on. 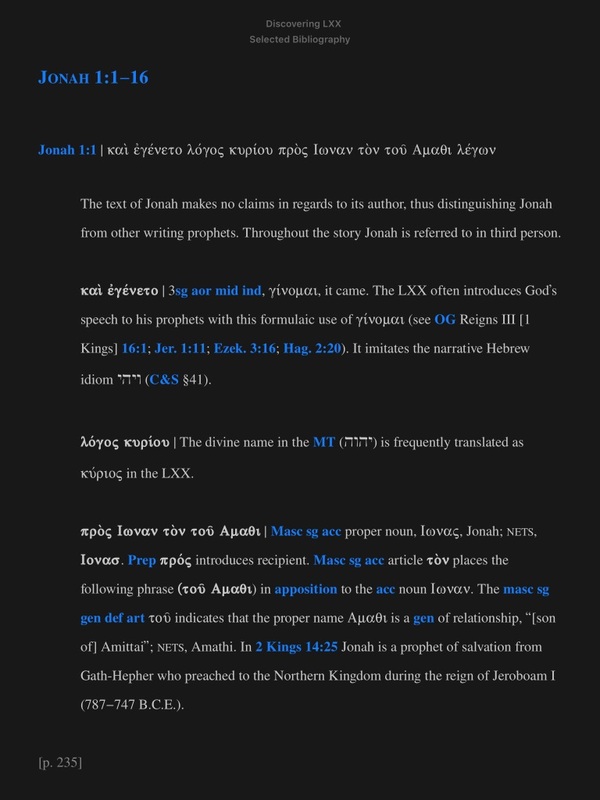 Following each passage is the NETS (English translation) and mention of any NT use (if applicable) of the LXX passage. 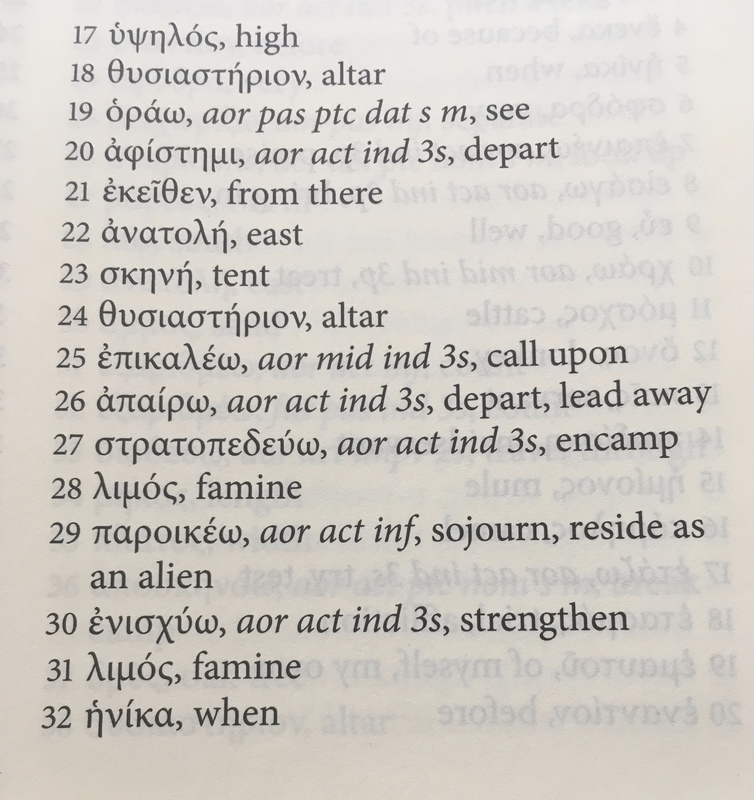 The end of the book has a three-page, 33-term glossary and a two-page “Index of New Testament LXX Citations” for the books included in the reader. What does a sample entry look like? 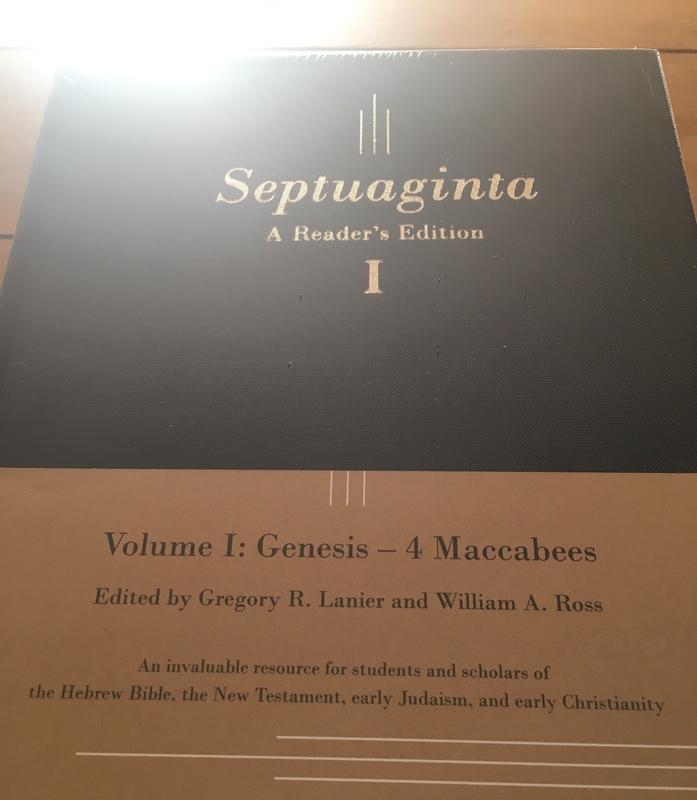 What’s commendable about Discovering the Septuagint? The very existence of this resource is a boon to Greek readers. 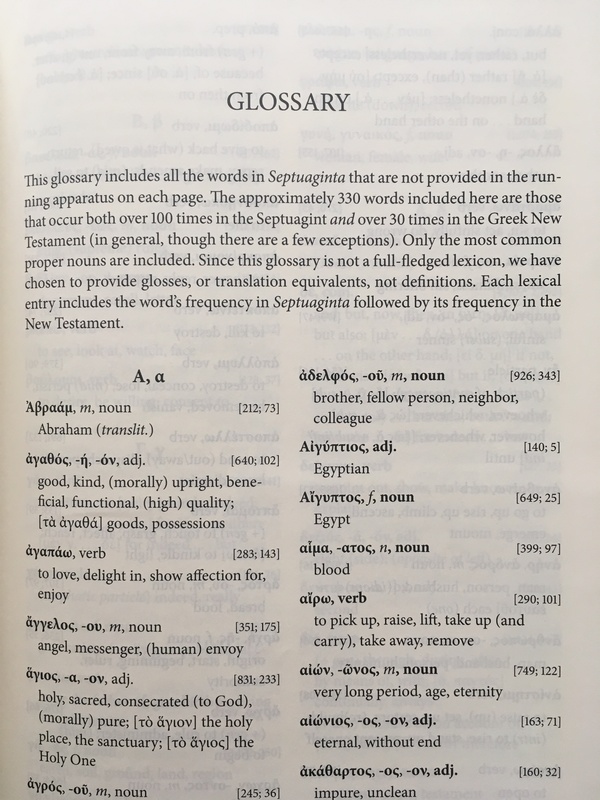 There long has existed Conybeare and Stock, as well as some passages in Decker’s Koine Greek Reader, but readers of the Septuagint have far fewer resources than readers of the Greek New Testament. 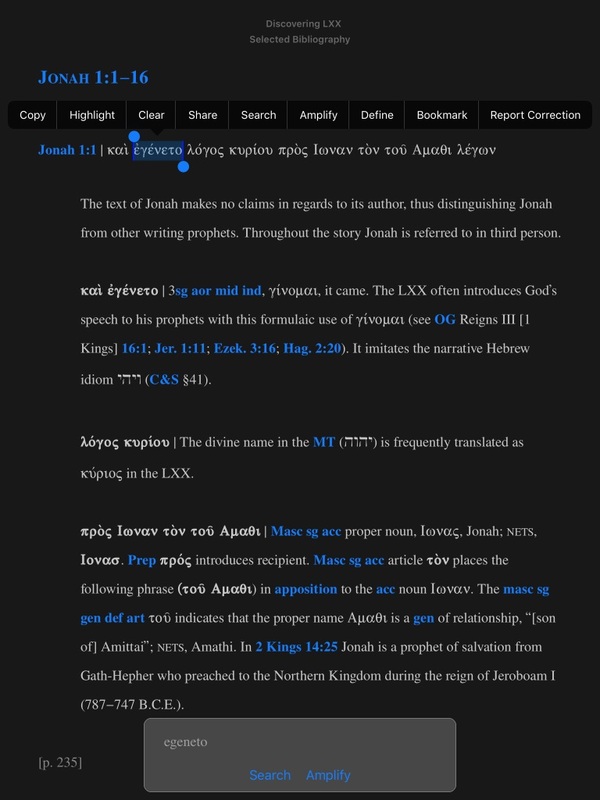 While the text edition has plenty wide margins for students to jot down their own parsings, translations, and notes, the margins of the Accordance edition give you a plus icon that will allow you to do the same in Accordance. ἀνὰ μέσον…ἀνὰ μέσον | Idiomatic prep phrase, “between.” This is a Hebraism, so there is no need to translate the second of the pair as NETS does. κατὰ γένος | Prep + neut sg acc (3rd dec) noun, γένος, kind. Remember the nom and acc forms are identical in this paradigm. Agrees with and modifies σπέρμα. Accordance adds hyperlinks to abbreviations, so that you only have to hover over them to see what they stand for. The glued binding didn’t do justice to a book like this, but that’s obviously not an issue here. 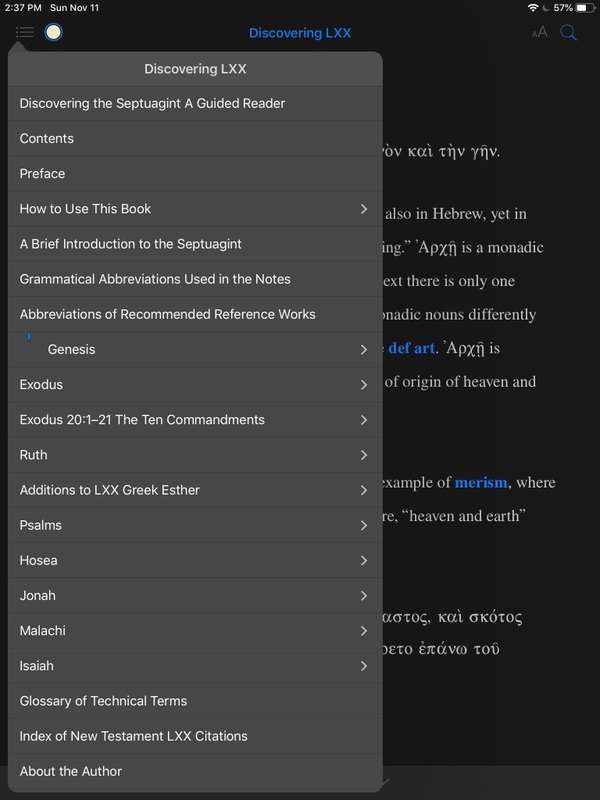 Plus, portability is high, and you can read your Septuagint passages at night in dark mode on iOS! 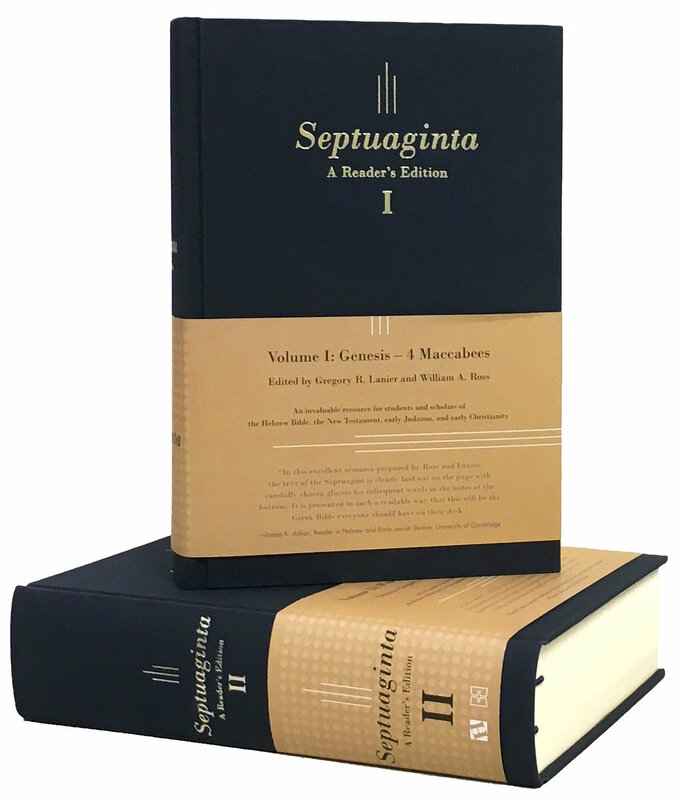 All in all, Discovering the Septuagint is worth owning, and the Accordance edition significantly increases its value. There is a lot of Greek help to be had here. 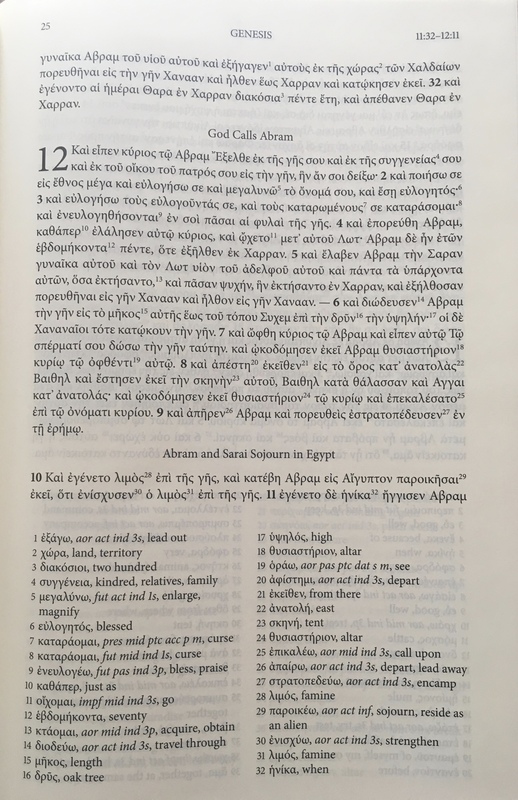 Discovering the Septuagint is available in print from Kregel and here from Accordance, where it is currently on sale.